So this article went around recently with the headline “Dungeon & Dragons’ revival helped by simpler rules, storytelling“. Now, I feel like I’ve heard this refrain before. It seems every couple of months some publication is writing about the amazing resurgence of D&D. Unfortunately there’s rarely any data to back up this idea, so it’s a little hard to comment on. Competition from video games and rules that grew more complex with each new edition prompted its popularity to level off in the 1990s and 2000s. But in 2014, Mearls and his team decided to strip away the layers of rules and return the game to its core: allowing players to take the game in whatever direction their imaginations led them. Back in the late 1970s and early 1980s, D&D was divided into two basic lines. 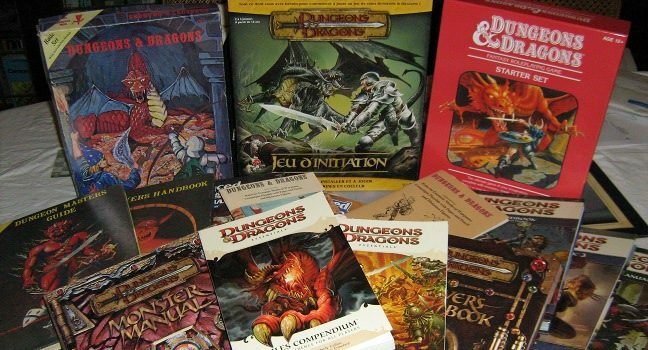 On one side, there was Advanced Dungeons & Dragons with its hardcover rulebooks and more complex rules. Basic D&D was aimed at new players, though its simplicity, clear rules, and concise presentation have kept it a favorite for decades. Where AD&D tried to provide rules depth and complexity, Basic D&D relied more on an individual DM’s judgment and rulings to keep things moving. Of course, the Rules Cyclopedia introduced a level of complexity to Basic D&D that neared AD&D’s, but the basic sentiment remains the same. 4th Edition, and 3rd Edition before it, take their cues from the AD&D branch of the D&D family tree. In retrospect it’s clear this series of blog posts were leading up to the release of 5th edition. My own blog post in March of 2011 predates the official announcement by less than a year. However, I don’t think at the time I recognized the line the above footnote draws between depth and flexibility, or that it could be an indicator that 5th might go the other direction from 4th, or try to find a middle ground. At the end of the day, to me the polls show that we have a fairly diverse audience that wants a wide range of experience out of Dungeons & Dragons. 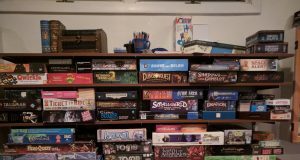 Whether discussing our publishing schedule, the game’s complexity, or its use of miniatures, we see a fairly broad distribution of opinions. There are clusters, but so far we haven’t seen a poll that saw one option (or set of related options) overcome the gnome effect. The gnome effect Mearls is referring here to is the idea that even if gnomes are only popular in 10% of the audience, that still means with an average of 5 players per group you’ll have one gnome in every other D&D game. Thus by cutting the gnome you disrupted half the D&D games in existence. Very rough math, but he has a point. Ultimately, I think what Mearls was doing here is the same thing I do with my own blog – airing his thoughts to try and help crystalize them, and perhaps begin a dialog with his readers to contribute new ideas. And I don’t begrudge Mearls the dilemma he was trying to work out – how do you produce a new version of a game that pleases its very wide range of fans? At this point the community was so fragmented, it was probably pretty daunting. I have to give him credit – from what I hear 5th edition is a pretty good game. It certainly seems to be a pretty popular choice at conventions these days. I played it once, and it’s not for me personally. For me 5th edition still goes too far in the direction of depth/complexity at the cost of some of the flexibility I enjoy. I recognize though that my tastes are on a far side of a spectrum of valid opinions, and I’d never say it’s not a good game because it doesn’t suit what I want out of my D&D. For my own games, I will continue to run the system I prefer, and as DM that’s totally my prerogative to do so. I think many players recognize that the best system is the one the DM is excited to run, so in a sense, it kind of doesn’t matter which one I choose. For the kids who are just getting into it today though, I’m glad there are books on the store shelves that had this much care and thought put into them. Mr. Mearls, I tip my hat to you. This is a great line, it really resonates with me but I can’t quite put my finger on why. We’ve got so many choices to pick from that there is perhaps some self-pressure to choose the “right” one, as if that could objectively exist. As if choosing wisely could some how save us from that demise of a previous group or campaign. Many of us home-brew or hack The Black Hack and B/X and OED and so on down the line or champion 3.5 or DCC or LotFP like a zealot. Yet that nagging doubt remains. Did I choose poorly? Having played quite a lot of 5e at this point — after some 30 years (!) of 2e and 3e — I can say that 5e is my favorite. It certainly isn’t perfect. It has foibles. Every game does; I’d argue that’s the nature of games. And there are certain things 2e and/or 3e did better. But from a sheer “Is it fun?” perspective, 5e has provided the most consistently and well-roundedly enjoyable play experiences across different DMs and play groups. I’ve even (gasp!) run it myself, something I generally found frustrating and distasteful in past editions, and I enjoyed that, too. I raise all this because, for the most part, I’m not a good bellwether for products. If I like something, there’s a very good chance it’s going to be cancelled/discontinued/recalled/replaced/end-of-lifed. (There’s market research that shows a certain segment of the population exhibits this characteristic, having tastes that just don’t line up with those of the larger public. We’re called “harbingers of failure.” Colorful, eh?) Yet 5e seems to be flourishing, despite my best efforts to sink it by liking it. I think that says something significant about what the designers have accomplished. The game really does have the broad appeal they wanted it to have. Which is not at all to denigrate the variety of game you prefer, Paul. You run a heck of a game. I have the same “harbinger of failure” experience with pre-prepared foods at the grocery store. Any time I discover a product I really like, it’s pretty much guaranteed that they’re going to stop producing it very soon. As for 5th, with how much people seem to like it, and the sentiments expressed by the creators before it was published, I feel like I really ought to give it a read. I’m very worried though that I’ve spent so much time thinking about it at this point that I can’t possibly give it a fair shake. I simply bring too much baggage with me. And never let me say that my edition is perfect either, I’ve just spent a lot of time fine-tuning it into the game I want to run. Let he without house rules cast the first stone.